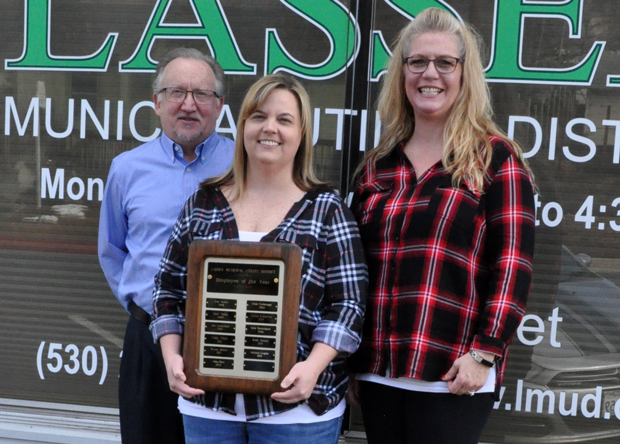 Lassen Municipal Utility District has named Michelle Langley as the 2018 LMUD Employee of the Year. 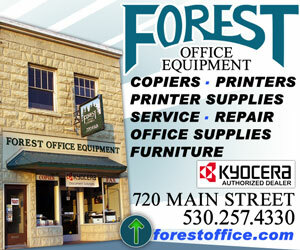 “The knowledge and direction that Michelle provides for our customers and her co-workers is invaluable. I can count on her to willingly take on any task that’s assigned to her. 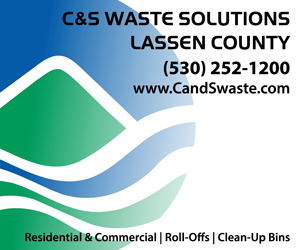 Everything she does, she does with a smile and a positive attitude – which helps to make our office a great place to work,” said Christina Nystrom, LMUD’s Customer Service Supervisor. LMUD Michelle joined the LMUD team in November 2012 according to LMUD Public Relations Manager Theresa Phillips. 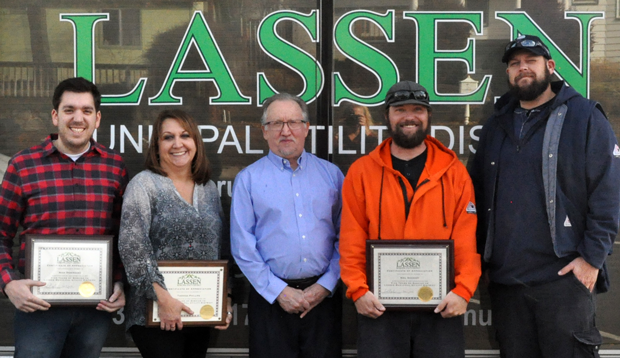 The LMUD District also congratulated several employees who achieved milestone service awards in 2018; Customer Service Representative, Patsy Padilla, 30 years; Public Relations Manager, Theresa Phillips, 15 years; Journeyman Lineman, Travis Fitzpatrick, 10 years; IT Manager, Nick Dominquez, 5 years; Journeyman Lineman, Neil Dockery, 5 years. Posted by Jeremy on . Filed under Announcements, Business Spotlight. You can follow any responses to this entry through the RSS 2.0. Both comments and pings are currently closed.